Tennessee hopes to add a point guard in their 2019 recruiting class, and one of their most recent offers just included them in his list of finalists in his recruitment. Issac McBride is a 6-foot-1, 170-pound point guard from Little Rock, Arkansas. The Vols just recently extended an offer to him on August 4th, and he already thinks highly enough of Tennessee and their coaching staff to include them in his list of his final four teams. According to his travel ball coach, McBride has a final list of Kansas, Auburn, TCU, and Tennessee. July turned out to be a huge month for McBride, as he picked up offers from Kansas, Wichita State, TCU, Oklahoma State, SMU, and Loyola-Chicago among others in that month. The Vols are the latest team to offer him, but he drew a lot of attention from a lot of premier teams in college basketball thanks to his play in summer leagues. Right now, McBride is rated as just the No. 340 overall player and 47th point guard in the 2019 class according to the 247Sports Composite rankings. But a look at his film shows why programs loved what they saw from him this summer and why he’s likely due for a big jump in the recruiting rankings. McBride is a great athlete despite not having elite size at a guard position. He can score in a variety of ways, but his jump shot is where he makes his money. He has a great release and can shoot from anywhere on the court. But he doesn’t just settle for jumpshots; McBride can drive inside and finish at the rim too. He can handle the ball well and has some great passing skill as well. Overall, it’s hard to believe he’s just a low three-star on recruiting services. According to WholeHogSports.com, McBride averaged 24.5 points, four rebounds, 2.5 assists and 1.6 steals a game as a junior. 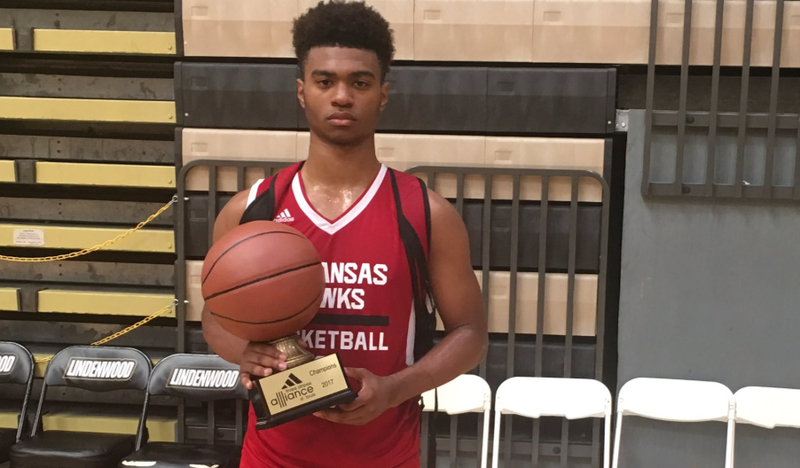 He was also named to the All-Arkansas Prep first team following the season, and he helped lead Arkansas Baptist to their third straight state title. During the Las Vegas Fab 48 event in July, McBride posted multiple 20-point games and looked electric on the court. Hence the sudden flood of offers at the end of the month. The Vols are looking to add a point guard in their 2019 class, and with four-star Tre Mann seeming like he’s looking elsewhere, landing in McBride’s final four is good news for Tennessee. The Vols will be replacing Jordan Bone, Jordan Bowden, and Lamonte Turner after the 2019-20 season, so they’ll be stocking up on guards in the 2020 class for sure. But adding at least one guard in the 2019 class is a big priority right now. Tennessee currently has two players committed in their 2019 recruiting class. Three-star forward and Bearden standout Drew Pember and three-star forward Davonte Gaines are the Vols’ two current 2019 commits.